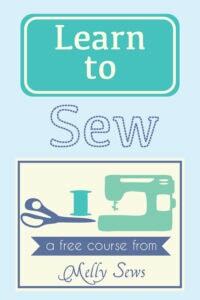 Hey y’all – today I’m going to be talking about different types of sewing machines – what they do, and which you need. 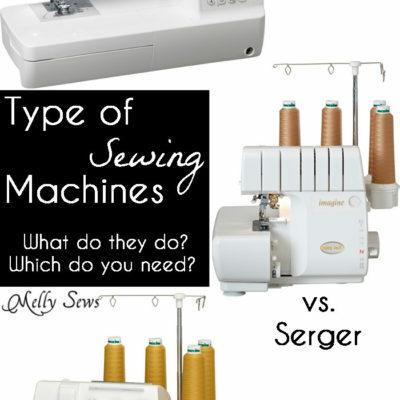 So we’ll be comparing a sewing machine vs. a serger vs. a coverstitch machine. Let’s start with the sewing machine. 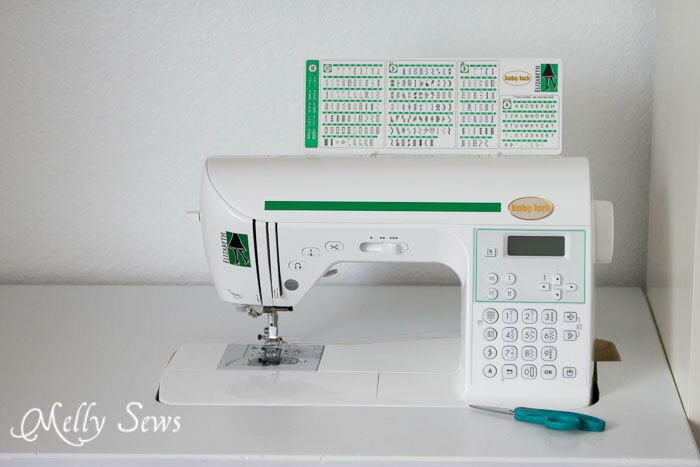 I sew on a Baby Lock Elizabeth, and I love it (full disclosure – I’m a Baby Lock brand ambassador, so I’m a little biased about their machines – I chose to associate with them because I think Baby Locks are amazing). This is a basic sewing machine, in that it has a needle and a bobbin, no loopers. Sewing machines vary in features, how many stitches they’ll do, whether they’re computerized or mechanical, but if you want to sew (and not by hand) this is the only machine of the three that you NEED. 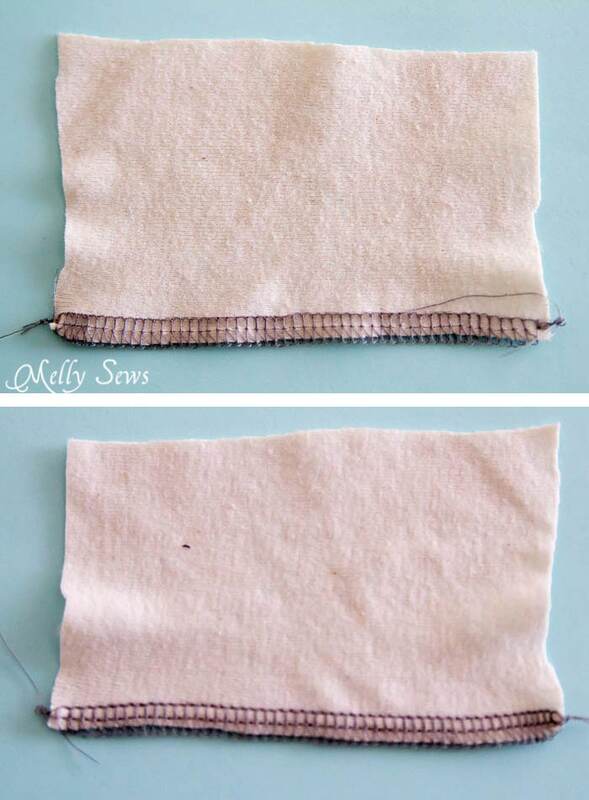 The basic stitch a sewing machine does is a straight stitch, with one thread running along the top of the fabric and the other along the bottom. Most modern machines (machines post 1950-ish) will also do a zig- zag stitch, so that you can sew knit fabrics. 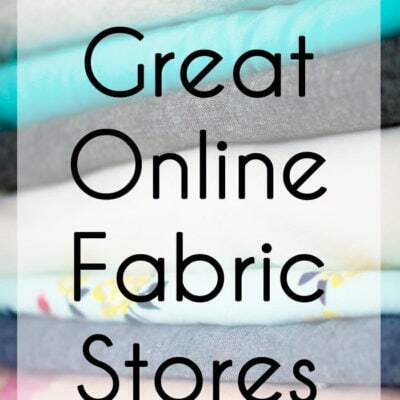 Sewing machines can sew pretty much anything you want, but they don’t always do it the easiest way, handle all fabrics as well, or the sew the way you see on ready to wear clothing. 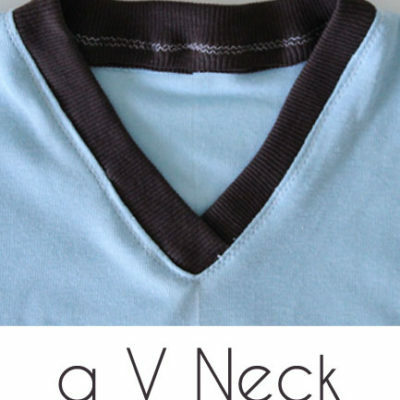 The ready to wear comparison becomes apparent when you look at what a serger does. My serger is a Baby Lock Imagine. Sergers take anywhere from 3 to 8 thread cones at a time, and they have loopers. Loopers basically do what they sound like – they loop thread around the edge of the fabric, to prevent fraying. Sergers also have a blade, which trims fabric as the machine stitches, so that the thread can loop neatly around the edge. Sergers are not a necessity, but they sure are nice for quick seam finishing. 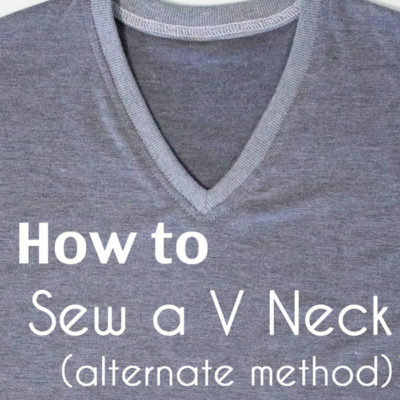 They’re also great if you sew a lot of knits because the way the stitch is constructed makes it inherently stretchy. Sergers can also do a nice rolled hem quickly. If you’re in the market for a serger, I (personally) wouldn’t buy one that only takes 3 threads. Four threads is more standard, and more useful. Sergers are a little more involved to thread than regular sewing machines due to the loopers and having 3-4 threads, so this is where I really appreciate the Jet Air threading on my Baby Lock. 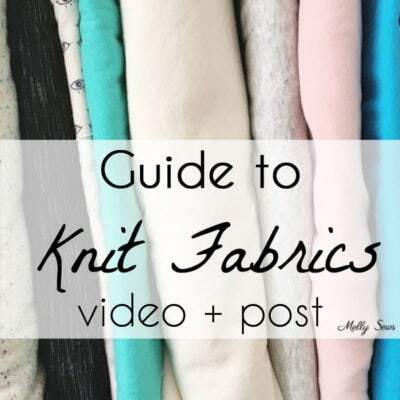 But also know – you can sew knits and finish seams without a serger. This is a nice thing to have, but not a necessity for sewing. If you’ve gone even further down the sewing knits rabbit hole, then you might start coveting a cover stitch machine. A cover stitch machine has a looper, like a serger, but it doesn’t have a blade. Cover stitch machines are used to sew knit hems and chainstitching. 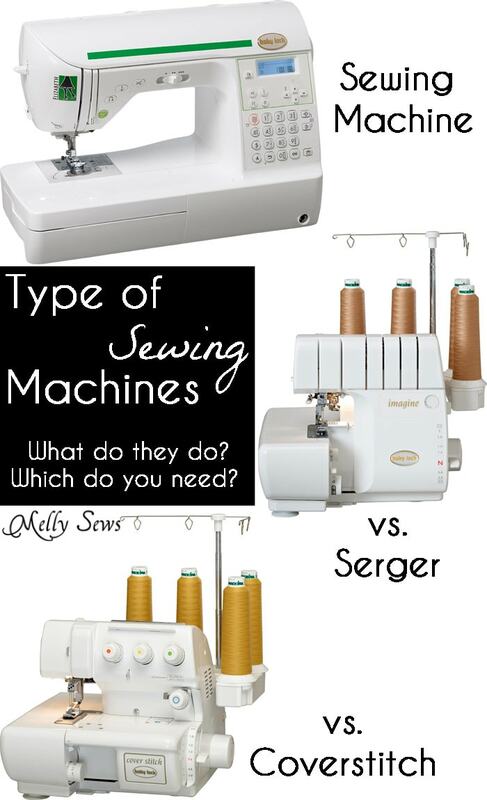 And sergers that take more than 4 threads are often convertible machines that will serge or do a cover stitch. 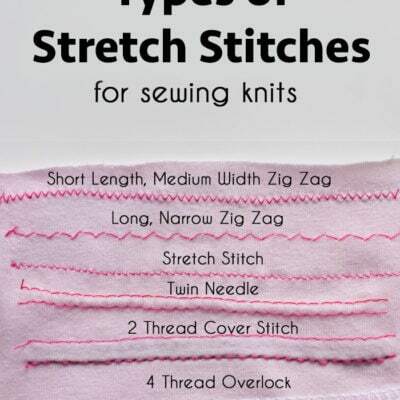 Coverstitch machines can use 1, 2, 3 or even more threads. Typically, you’ll see two top threads and a looper thread. The top threads go through needles to make the straight stitch part. The looper thread is on the bottom side and gives the stitch its stretch. 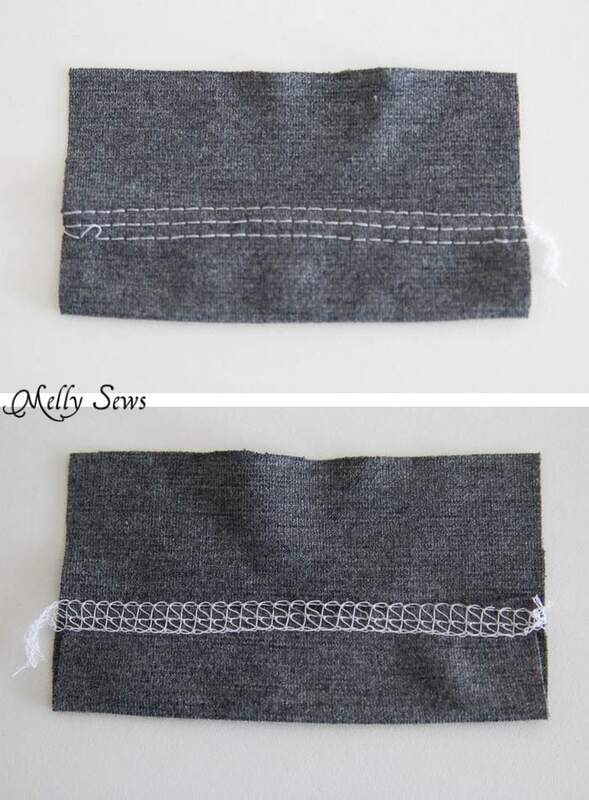 Used with just 1 needle, a cover stitch machine will make a chain stitch, which – if properly knotted – makes a very strong seam. 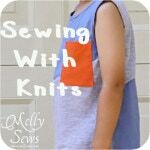 On the other hand, if the threads are not locked and tied, a chain stitch can be useful for basting because it pulls right off. Ever open a bag of pet food stitched together at the top? That’s a chain stitch – and you know once you get the right end of the thread, the whole seam just pulls right off. 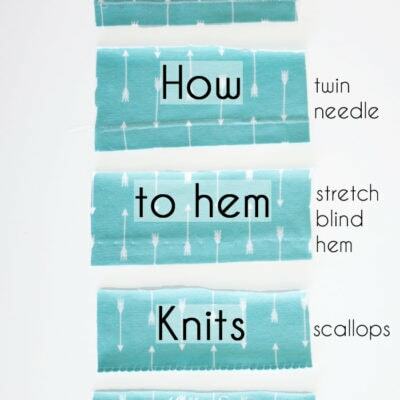 Chain stitch widths are typically determined by setting the needles in different positions. And because of their lower looper, they are somewhat harder to thread, like sergers. Again, why I appreciate Jet Air threading. 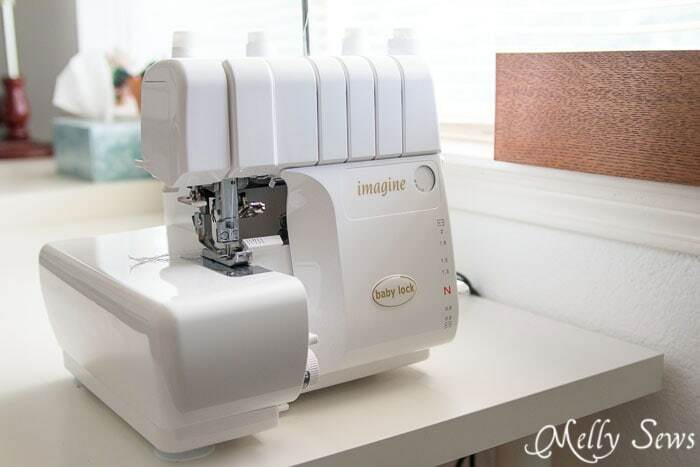 Many people buy combination serger/cover stitch machines and like them, but I knew that for my workflow I wanted separate machines so I wasn’t having to convert one back and forth. I bought my cover stitch back in December, and it has had a little bit of a learning curve (more so than a serger, I think), but I’m really loving it now. I wish it had auto tension like my Imagine does, but it’s really not hard to adjust. One tip I will pass on is to read this post about locking your threads – this is a much easier way than my manual outlined and I’ve had much fewer finishing headaches since reading it! Thanks for this helpful post. 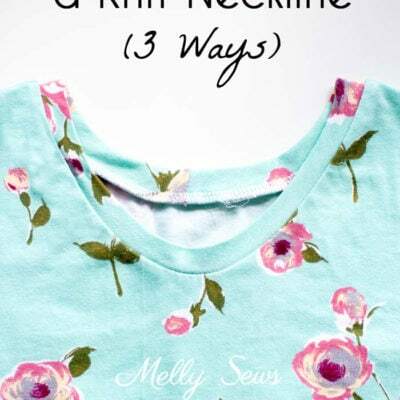 I only have a sewing machine, but of course want all 3! I use my sewing machine for quilting. I have a 5 thread serger/coverstitch machine that I will use for clothes if I ever get around to that. I love my Babylock Imagine !! I dream of getting a coverstitch machine for hemming (and I really want to learn how to do a flat lock stitch) but my twin needle and wooly nylon thread are getting the job done for now! Thanks for the article! 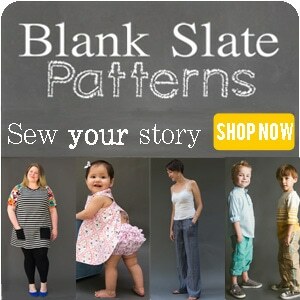 I’ve been wondering what a cover stitch machine does and now I want one! I have a coverstitch machine, and I would love to see more written about it on sewing blogs – thanks for the info! Thanks for the article. Very interesting. I want to learn differents use for the serger. Great article. I really didn’t understand the difference between a cover stitch and serger machine. A little clearer now. I can’t help but think there has to be away to setup what looks like a cover stitch on my serger. For now I serge the edges and then go back with twin needles on my other machine to achieve that look. I have a 4 threader. 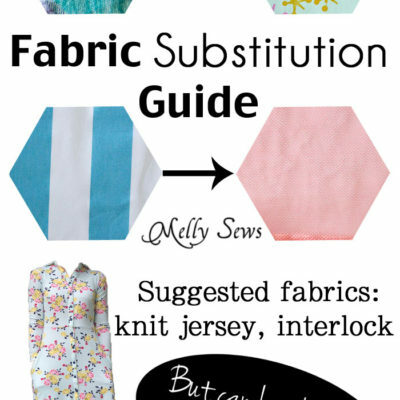 Would also like to know how to make ruffles on my serger. I had instructions onece and lost them. All I had to do was change the settings. I have 5 Sergers. The Babylock Evolve (coverstitch, 8 thread), Babylock Imagine Wave, and three JUKI sergers. One of my JUKI Sergers is a Coverstitch too. Most of the time I just do a 3 OR 4 Thread edge finishing stitch. It is not necessary to have the top of the line machine, but I do prefer the BABYLOCK AIR THREADING. 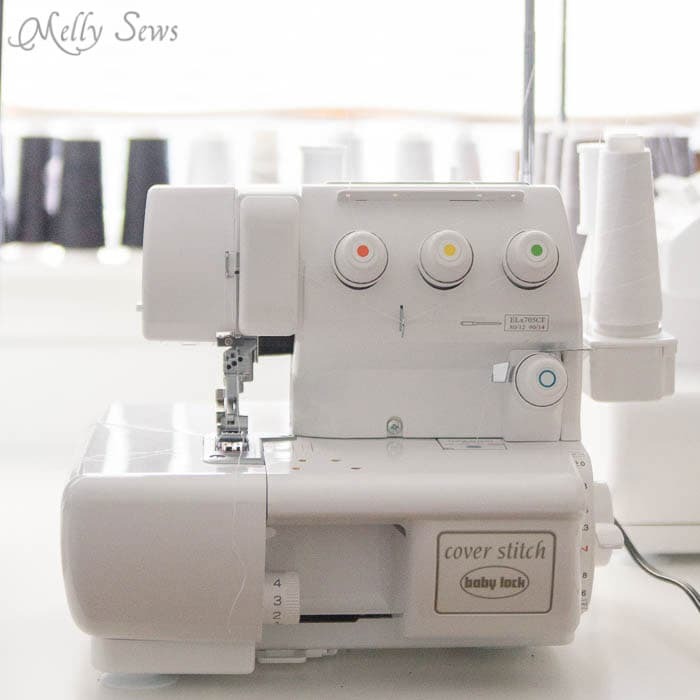 Thanks so much for this short and sweet comparison of sewing, serger and coverlock machines. I’m just delving into the world of sewing skating costumes, and knits are new to me.